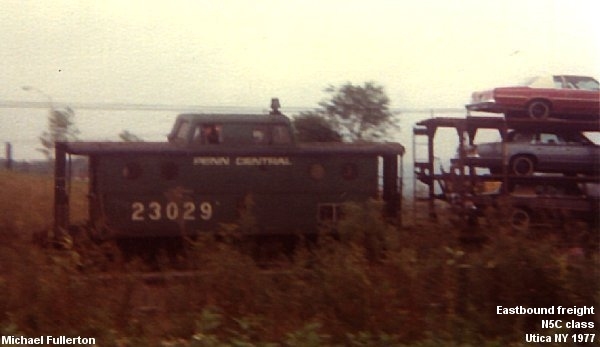 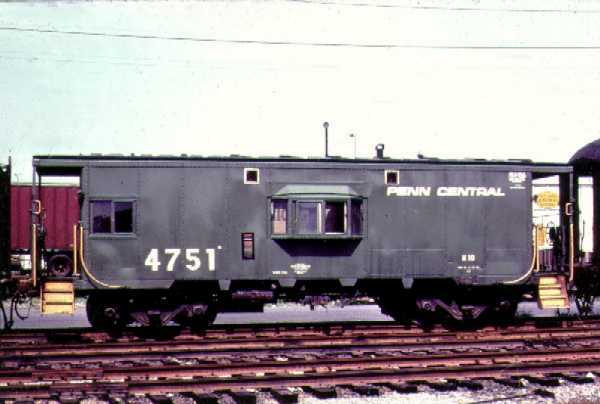 One of the early problems after the Penn Central merger (and there were legions of problems) was the proper term for the car which was on the end of the train. 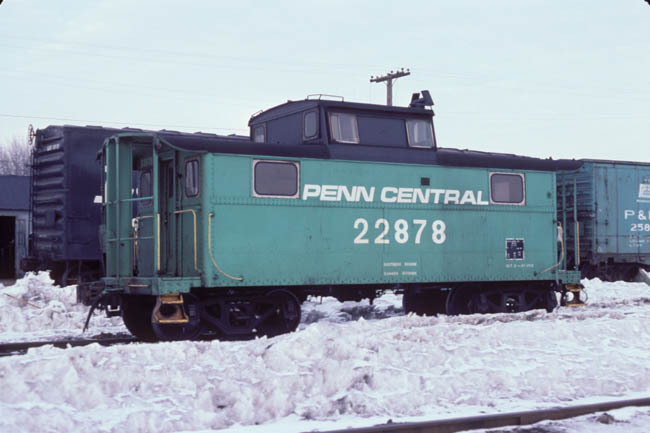 New York Central called those cars cabooses, while the Pennsylvania called them cabin cars. 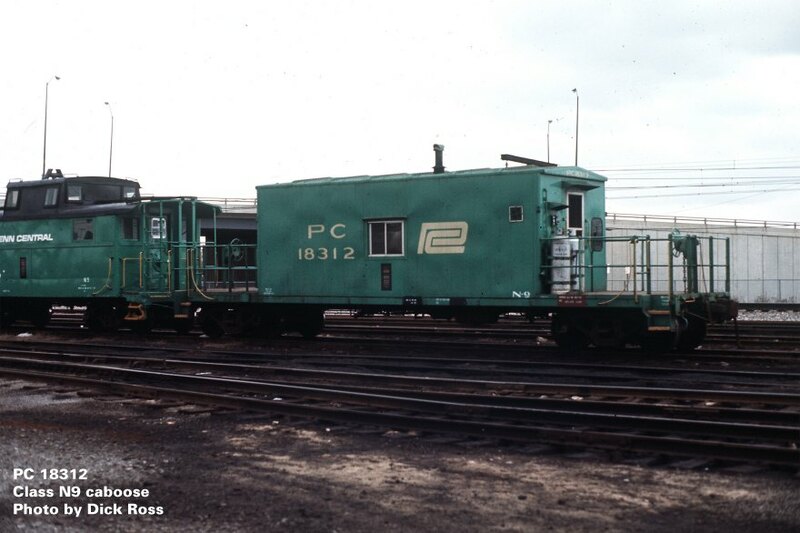 Eventually, the term caboose was settled on. 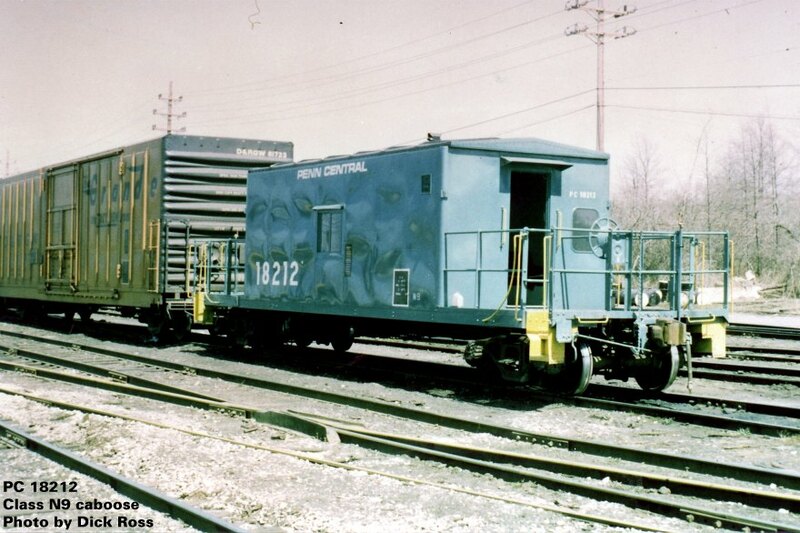 The N9 class were transfer cabooses built using old boxcar underframes at Despatch Shops in East Rochester, NY. 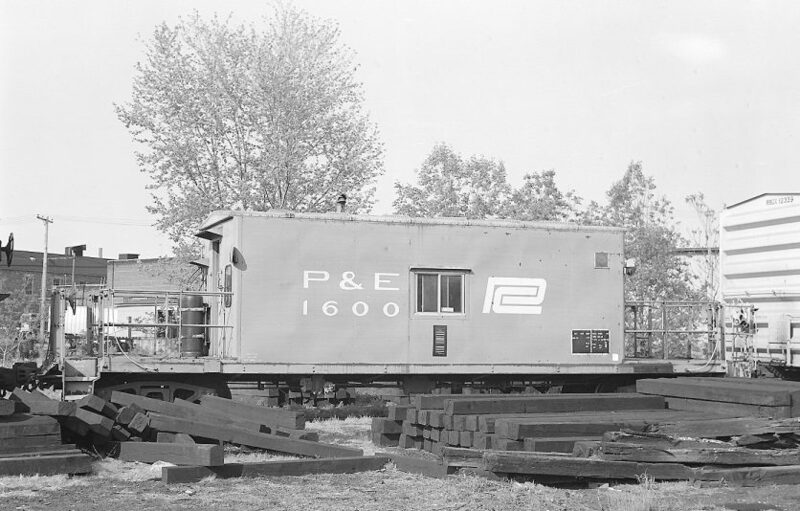 The first N9s were built by NYC, and construction continued after the PC merger. 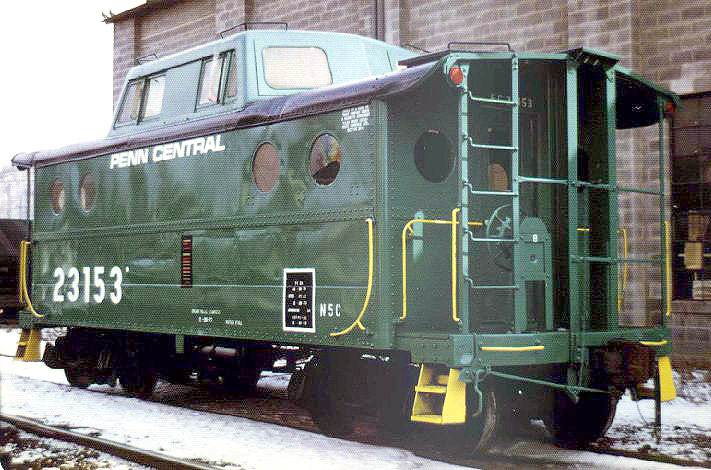 The NE-5 and NE-6 classes were former New Haven cabooses. 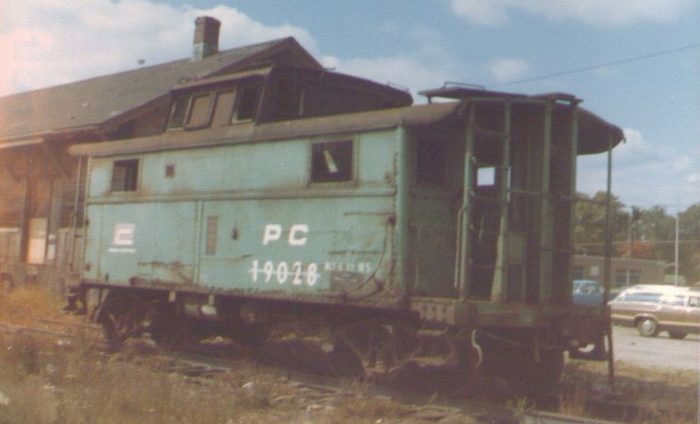 About 40 each of the NE-5's and NE-6's were rebuilt into the N8A and N8B classes, with their cupolas blanked and bay windows added. 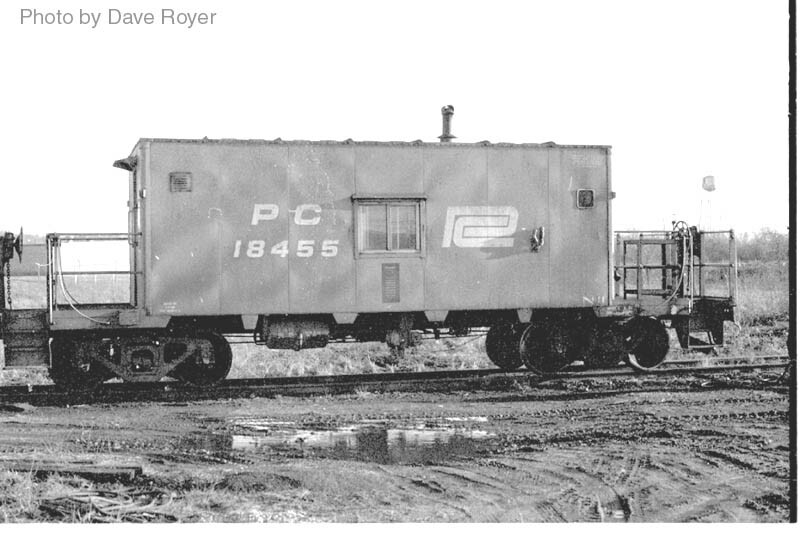 About 65 others were rebuilt with no exterior modifications and placed in PC's NE6 class. 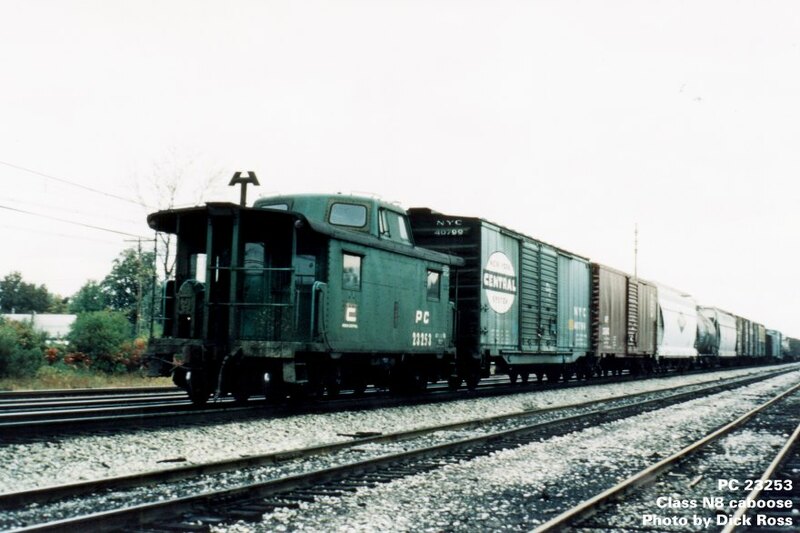 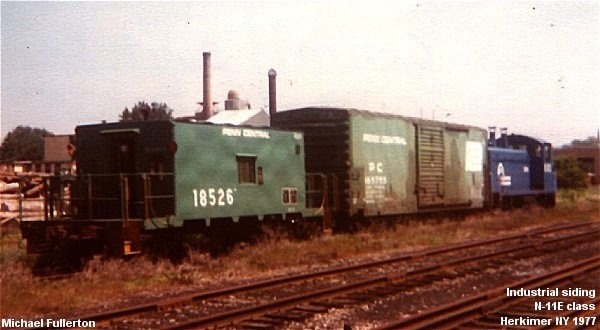 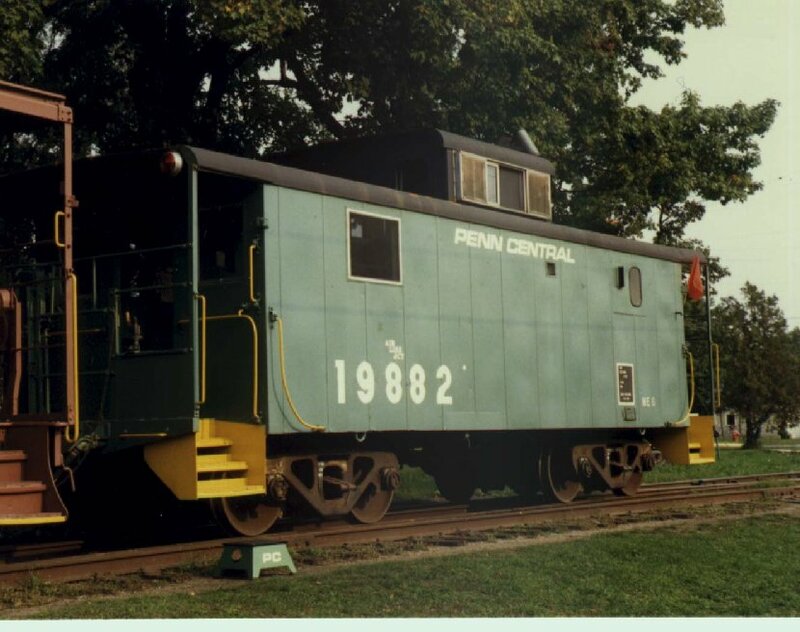 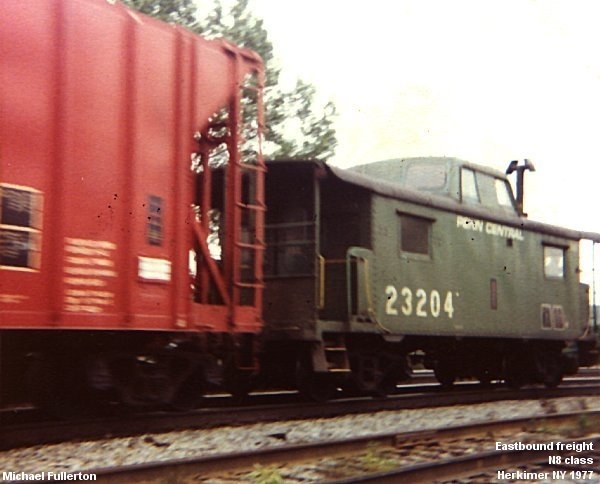 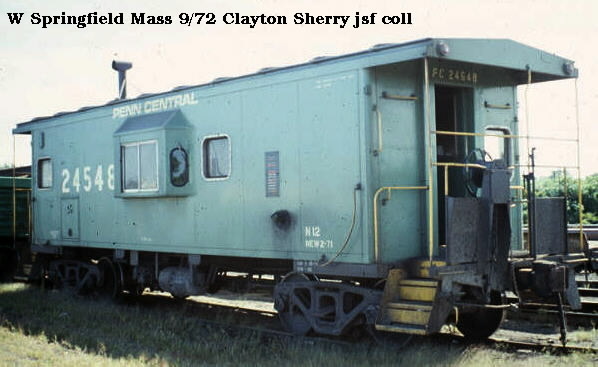 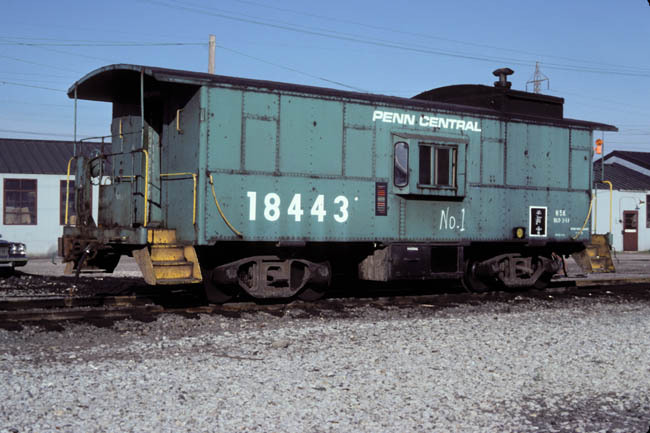 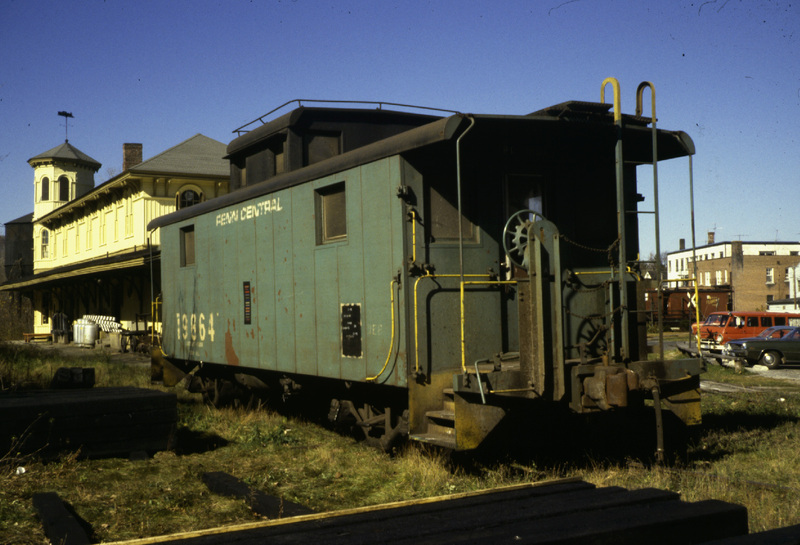 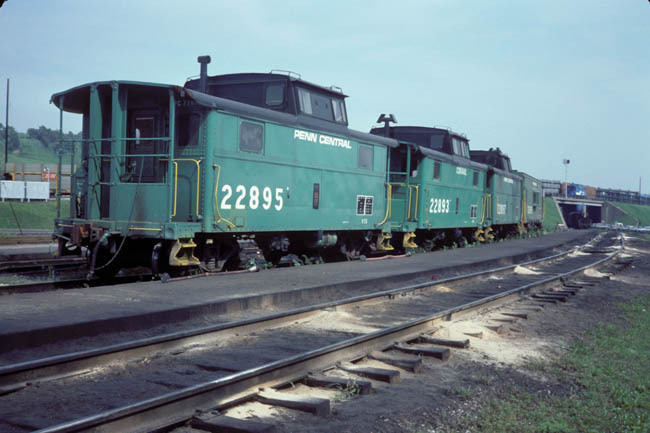 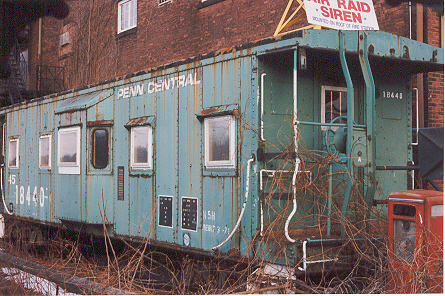 For more pictures of Penn Central Cabooses, visit the Penn Central Caboose Page.